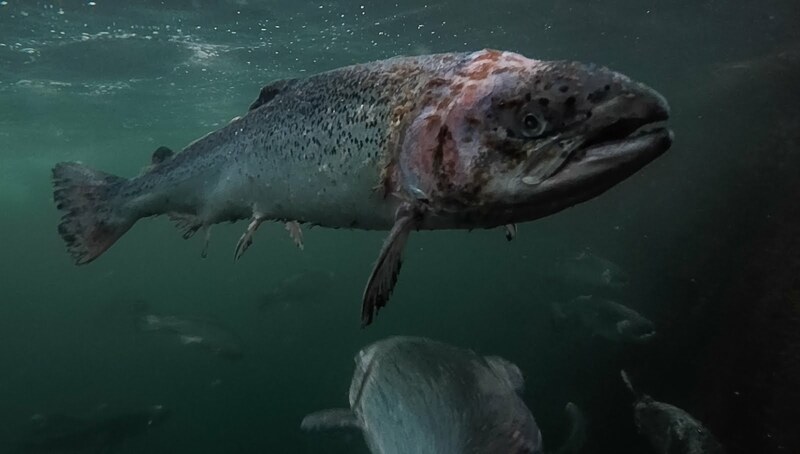 A public enquiry could result from allegations of flawed and suppressed information regarding controversial proposal to construct a massive salmon farm in Galway Bay. 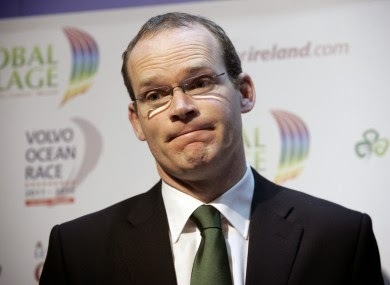 The allegations have already led the EU Commission to re-open an investigation on the farm and demand explanations from Agriculture Minister Simon Coveney. EU Environment Commissioner Janez Potocnik re-opened Pilot Investigation 764/09/ENV1 following claims of “fundamental errors” in the analysis of key papers by the Marine Institute in Oranmore regarding the sea lice threat to wild salmon posed by intensive salmon farming; allegations that information from Inland Fisheries Ireland on the scale of damage caused to wild fish from lice was withheld by the Department of Agriculture; and perceived refusals by the Minister for Agriculture Simon Coveney to answer questions in the Dáil on the fish farm. The proposal by An Bord Iascaigh Mhara to locate the 1,126 acre, 15,000 tonne, open caged salmon fish farm off Inis Óirr, is now halted pending the EU investigation and Minister Coveney now has until January 15 to explain the situation. The Galway Bay Protection Group, a body made up of doctors and medics concerned by the health implications of a fish farm, has welcomed the EU Commission’s decision but believe a public enquiry is also needed to examine the entire issue. It is seeking to raise funds for the holding of such an enquiry. The main reason Commissioner Potocnik re-opened the investigation is the emergence of new scientific analysis which called into question data that had been presented to the Department of Agriculture. A team of four international experts from the University of Toronto, the University of Prince Edward, the Norwegian Institute for Nature Research, and the Scottish Ocean’s Institute at St Andrews reanalysed the data contained in three Marine Institute reports regarding the impact of sea lice on wild salmon, for the August edition of The Journal Of Fish Diseases. The team found “fundamental methodological errors” in the all three Marine Institute papers and concluded the percentage of wild salmon killed by sea lice is not “one per cent” as claimed by the Marine Institute, but is actually “more than 30 times higher” - in effect one-third of the overall number of adult salmon. Two of the Marine institute papers form the basis of the Environmental Impact Statement for the proposed fish farm. On three occasions this matter was raised in Dáil Éireann by Independent Galway West TD Noel Grealish, at the request of the Galway Bay Protection Group, Minister Coveney made no reply, except on once to say the Marine Institute protocols are “strictly evidence based” and “totally independent of the industry”. In December 2012, Dep Grealish had already pointed to research that showed 39 per cent of wild salmon mortalities are attributable to sea lice. The new data and the Minister’s lack of response led the Galway Bay Protection Group and Friends of the Irish Environment to write to Commissioner Potocnik, leading to the new investigation. The commission has written to Minister Coveney, giving him until January 15 to “comment on the significant difference between the conclusions of the two studies”. Independent MEP Marian Harkin, who has supported the Galway Bay Protection Association and Friends of the Irish Environment on the issue, has welcomed this development. “This decision is a significant indication of how the democratic process can be used by NGOs to challenge possible infringements of process,” she said, “and to work with politicians to ensure there is no preclusion of valid evidence which may influence the decision by the European Commission.” MEP Harkin said allegations that important evidence by a State body appears to have been omitted and, as a consequence, the objectives of other State bodies were achieved, “is most worrying”. The Dáil Public Accounts Committee is also being called on the investigate the financial outlay, and process employed, by Bord Iascaigh Mhara to promote the construction of the salmon farm by Galway county councillor Thomas Welby. Cllr Welby had previously written to Minister Coveney in relation to deficiencies in the EIS regarding Amoebic Gill Disease, a disease which has to be treated by bathing the diseased fish in fresh water. The EIS made no reference to the disease, or the treatment, a process that would require huge amounts of fresh water. Concerns had also been raised about the proposed fish farm earlier in the year. Galway county councillors wrote to Minister Coveney in March outlining “serious reservations” that the farm will “endanger wild salmon stocks and public health”.